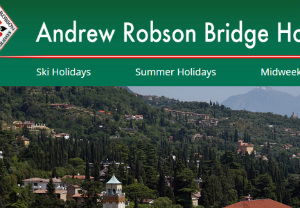 Andrew Robson Bridge Holidays are unique. It is important to stress that they are not aimed at the type of player who likes a serious 24-board Duplicate every night; instead the emphasis is on instruction, with a little gentle competition, played in the friendly, social manner that so typifies the ethos of the Club. They are run by Jack Stocken and ARBC's Lorna Heaton, and organised by Jack's wife Annabel. In the past we have run ski trips, summer holidays, European midweek breaks and bridge weekends on the South coast. 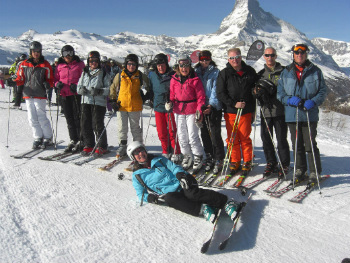 The hotels are always 4* or 5* and past locations include Lake Garda, Sicily, Malta and for skiers, Oberlech, Klosters, Zermatt and Wengen. 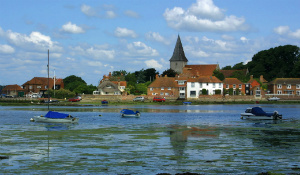 Closer to home we have hosted midweek breaks in York, Sandbanks, The Millstream Hotel in Bosham and Harrogate. Please click here our current selection of destinations.